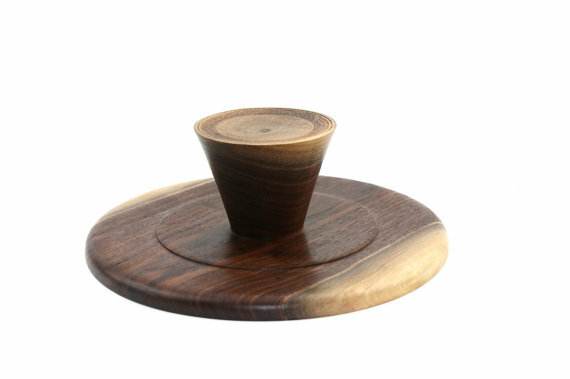 Modern cake stand, with sleeker, straight lines. Made entirely of salvage or down trees. None are exactly the same, and any slight imperfections are an affect of the handmade quality. PLEASE DO NOT SOAK IN WATER OR PUT IN A DISHWASHER. Simply wipe down with a damp cloth and dry immediately.